Popular pro golfers like Phil Mickelson can earn more from product endorsements than from tournament winnings. Playing golf for the approximately 26 million golfers in the United States means paying money for greens fees, not getting paid. But for elite golfers who turn professional, compensation ranges from a base salary, benefits and bonuses for club pros to millions of dollars for the winners of major tournaments -- and even more potential income from endorsements for the most popular tournament players. A club pro is a PGA professional who manages the golf operations for the owners or operators of a course. These pros may receive a salary and may also be paid for the golf lessons and golf clinics they give on the practice range or on the course. According to the 2011 PGA Compensation Survey, published in the June 2011 edition of "PGA Magazine," in 2010 the median total compensation for the general manager/head professional position was $70,000, with a range between $55,000 and $90,000. The teaching professional position, a PGA pro who focuses on giving lessons, earned a median compensation of $45,000, with a range between $30,000 and $55,000. Public or private courses that provide extensive instruction programs may have a position titled director of instruction. This position had a median compensation of almost $60,000, with a range between $40,000 and $75,000. Professional golfers are paid a percentage of the purse for each tournament they play in and finish in the money. For example, the U.S. Open pays down to the 60th place finisher. Rory McIlroy won $1.4 million wining the US Open in 2011. The player in 60th place received a little over $17,000. On the PGA Tour, the highest money winner for all of 2011 was Luke Donald with winnings of $6.6 million. Yani Tseng won nearly $3 million for her 2011 season to lead the LPGA Tour. High career money winner is Tiger Woods who has won nearly $95 million through 2011. The Nationwide Tour is for those golfers who haven't yet qualified for their PGA Tour card. J. J. Killeen was the top money winner on the Nationwide Tour in 2011 winning two events and earning a little over $400,000. Last place was a gentleman earning only $1,265. He only played in one event. Out of their tournament winnings, golfers must pay travel expenses, caddy fees and fees to their agents. Like other athletes, well-known professional players are paid to endorse products and not just golf equipment or clothing. For example, Phil Mickelson has endorsed the medication he received for his arthritis. Arnold Palmer has endorsed products ranging from motor oil to his own soft drinks. And of course Tiger Woods has been the spokesperson for a variety of products, including luxury cars and a video game bearing his name. Other sources of income are royalties on the sale of books and instruction videos as well as pay-for-play appearances at non-official tournaments and for speaking engagements. Several pro golfers including Jack Nicklaus and Arnold Palmer operate their own golf course design companies with clients worldwide. All sources of income considered, professional golfers are among the world's highest paid athletes. Sports Illustrated magazine reported that golfers Tiger Woods and Phil Mickelson were the top two highest earning athletes on the publication's 2011 list, The Fortunate 50. Woods earned $62 million in all for the year, with $60 million coming from endorsements. 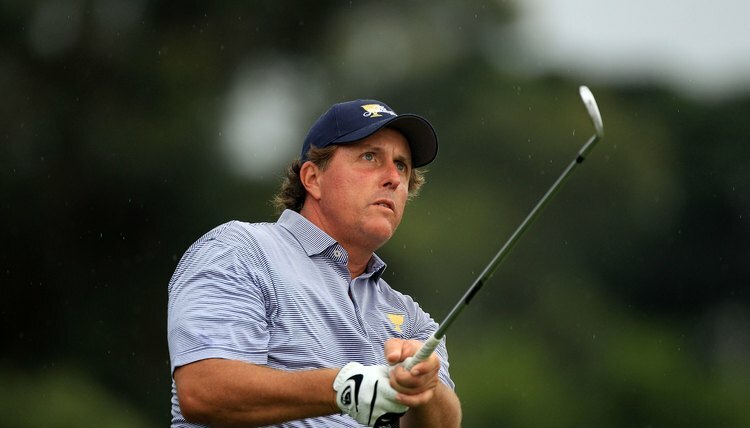 Mickelson earned $61 million, including $57 million from endorsements.